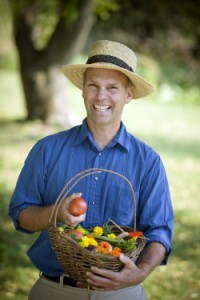 The King’s Garden at Fort Ticonderoga is presenting its second Garden and Landscape Symposium: “Enhancing Life through Gardening” on Saturday, April 13. The day-long symposium, geared for both beginning and experienced gardeners, provides insights from garden experts who live and garden in upstate New York and Vermont. This springtime event takes place in the Deborah Clarke Mars Education Center and is open by pre-registration only. A weekend-long celebration of chocolate, wine, and spirits, will be held October 12-13 at Fort Ticonderoga’s “Chocolate Covered History” Symposium. Participants will have the opportunity to learn about the origins of chocolate and its role in the 18th century military history of Fort Ticonderoga. The weekend event combines wines, spirits, chocolate, and history and includes a Veuve Clicquot Champagne and dessert reception, full day symposium, and gala dinner. Breakout sessions will provide opportunities to taste various foods prepared using American Heritage Chocolate, an authentic colonial chocolate recipe made only from ingredients available in the 18th century, made by Mars Chocolate. Following a Friday evening champagne-dessert reception at The Sagamore Resort, October 12, the symposium will begin on Saturday, October 13, at Fort Ticonderoga with Chocolate in the Americas: Connecting History from the Amazon to New England presented by Rodney Snyder, Chocolate History Research, Director for Mars Chocolate, NA, Mars Incorporated. Christopher Fox, Curator of Collections at Fort Ticonderoga, will present the second session entitled Breakfasting on Chocolate: Chocolate in the Military During the French & Indian War and American Revolution. Afternoon breakout sessions include Wine and Chocolate: Perfect Pairing led by Janine Stowell of Banfi Vintners- Baking with American Heritage Chocolate with Chef Gail Sokol- Tuthilltown Spirits Whiskey Seminar with Ralph Erenzo, Co-Founder of Tuthilltown Spirits- and A Revolution in Chocolate: 18th-Century Energy Drink, led by Fort Ticonderoga’s Director of Interpretation, Stuart Lilie. “Chocolate Covered History” will be topped off with a Saturday evening gala at The Sagamore Resort and will include a cocktail reception and four course meal integrating chocolate into every recipe. Guests will have a once in a life-time opportunity to enjoy dishes such as Native Corn Stew paired with Chocolate Dusted Pine Island Oysters- Preserved Ducking, Pickled Fall Vegetables, Dandelion Greens with Chocolate Huckleberry Conserve- and Lavender and Knotweed Honey Marinated Lamb Chops with Roasted Rutabaga Mash and Chocolate Sassafras Sauce. Rum Spiked Chocolate Cake with Bergamot Tea Infused Pumpkin Custard and Mulled Cider Glaze will complete the meal. Each dish will be paired with appropriate wines. Monies raised through the “Chocolate Covered History” symposium and gala will support Fort Ticonderoga’s educational and interpretive programs. 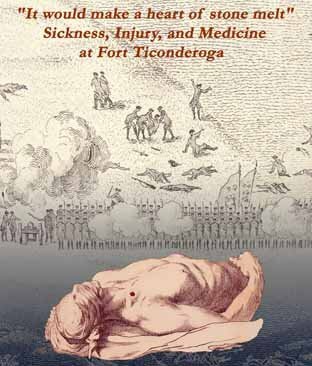 Fort Ticonderoga is a not-for-profit historic site and museum whose mission is to ensure that present and future generations learn from the struggles, sacrifices, and victories that shaped the nations of North America and changed world history. More about this event can be found online or by calling 518-585-2821. Illustration: An 18th Century Chocolate Mill from Denis Diderot’s L’Encyclopedie (courtesy the Confectioners Mill Preservation Society). Immerse yourself in the year 1777 at Fort Ticonderoga during the British 1777 Campaign March living history weekend, September 8-9. Meet the soldiers of the Fort’s British, German, and Loyalist garrison and hear how they defended the Fort during a three-day raid led by American commander Colonel John Brown with his 1000-man force. Highlighted program offered throughout the weekend includes tours, musket demonstrations, and military patrols. On Saturday evening return to Fort Ticonderoga as an eerie calm settles over the Champlain Valley. As darkness falls the nervous British garrison will be faced with an alarm. With the flash and roar of musketry firing into darkness you will experience first-hand the confusion of nighttime battle as the Fort’s garrison responds to an alarm after sunset. On September 13, 1777 a mission was launched against Ticonderoga whereby two American detachments of about 500 men each under the command of Brigadier General Jonathan Warner and Colonel John Brown were sent to Ticonderoga with the goal of securing the release of American prisoners, destroy British provisions, and if possible to attack the Fort. On the morning of September 18, the forces converged on Ticonderoga. Over the next few days Colonel John Brown’s force captured the British blockhouse at the top of Mount Defiance, secured the release of 118 American prisoners and captured nearly 300 British soldiers. Brown’s men also burned several of the Fort’s outbuildings and destroyed about 150 batteaux. However the American forces soon realized that without reinforcements and additional supplies, a direct attack on the Fort would not be successful. On September 22 Colonel Brown’s force called off the attack. Less than a month later, the British army capitulated at Saratoga and by early November, the small British garrison remaining at Ticonderoga burned the Fort’s remaining structures and retreated to Canada. Admission to this living history weekend is included with Fort Ticonderoga’s general admission ticket. Fort Ticonderoga is open from 9:30 am until 5 pm daily. 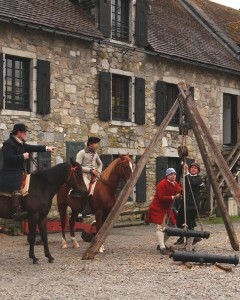 For a complete event schedule visit http://www.fortticonderoga.org/learn/re-enactors/1777_march/visitor or call 518-585-2821. Advanced reservations are required for the Saturday evening program. Tickets are $35 each and space is limited. Call 518-585-2821 for details. Visitors can explore the Continental Army’s first major initiative during the Revolutionary War at Fort Ticonderoga’s upcoming living history weekend “Onward to Canada: Reinforcements Head North to Join the Attack on St. John.” The September 1-2 event will recreate how the American army prepared to invade Canada in the fall of 1775. 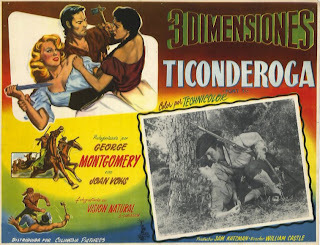 Special programming offered throughout the weekend will recreate a unique and busy moment in Fort Ticonderoga’s history when the “Old French Fort” served as hub of activity for the fledging American Army and a launching point for an invasion into Canada. Programs will highlight close-order marching- the issuing of muskets, supplies, and clothing to the troops- special tours, weapons demonstrations- and regimental training exercises. The objective of the invasion of Canada was to gain military control of the British province of Quebec, and convince the French-speaking Canadians to join the Revolution on the side of the thirteen American colonies. 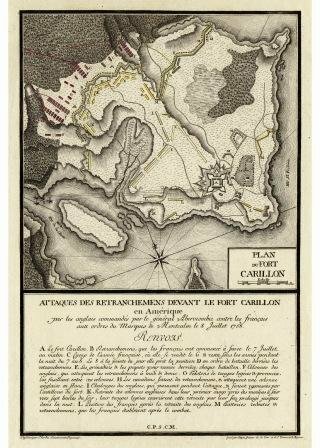 In the fall of 1775 two invasion forces were launched with the goal of meeting in Quebec. One expedition under the command of Brigadier-General Richard Montgomery set out from Fort Ticonderoga, besieged and captured Fort St. John, and very nearly captured British General Guy Carleton when taking Montreal. The other expedition left Cambridge, Massachusetts, under Colonel Benedict Arnold, and traveled with great difficulty through the wilderness of Maine to Quebec City. The two forces joined there, but were defeated at the Battle of Quebec in December 1775. Admission to “Onward to Canada” is included with Fort Ticonderoga’s general admission ticket. Fort Ticonderoga is open from 9:30 am until 5 pm daily. A complete event schedule is available online.